It wasn’t long ago that we blamed dietary fat sources for the obesity epidemic. While it’s true that excess fat can make you gain weight and contribute to chronic diseases like heart disease, cancer and stroke, not all fats were created equal. In fact, as you’ve probably heard, certain types of fat are actually good for your health. You need fat to aid in the absorption of fat-soluble vitamins, including vitamins A, E, D and K and fat also aids in weight control because it makes you feel full for longer periods of time. Yes, avocados are high in fat — perhaps that’s why they’ve earned the nickname “butter pears” — but most of the fat in an avocado is monounsaturated, the heart-healthy kind that actually lowers bad cholesterol. In recent years, the U.S. government has even revised its official nutrition guidelines to urge Americans to eat more avocados. Moderation is still key, since one medium avocado boasts 30 grams of fat. 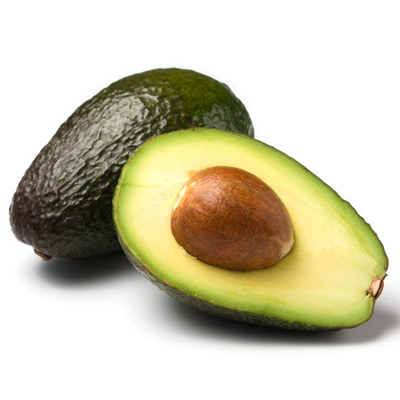 Try substituting avocados for butter or cream cheese, or replace the mayo on your sandwich with avocado slices. Eggs are an inexpensive and easy source of protein. People often think eggs whites are a healthier option than whole eggs because they contain less fat, and while it’s true that the egg yolk contains some fat, it’s also packed with important nutrients. One whole egg contains 5 grams of fat, but only 1.5 grams are saturated. Whole eggs are also a good source of choline (one egg yolk has about 300 micrograms of choline), an important B vitamin that helps regulate the brain, nervous system and cardiovascular system. And while there’s a lot of buzz about the cholesterol in eggs, research has linked moderate egg consumption to improved heart health. Olive oil is commonly used in the Mediterranean diet (one of the most recommended for a healthy lifestyle), and we’ve all heard that olive oil reduces the risk of heart disease, blood pressure and certain types of cancer. However, it still packs 100 calories per tablespoon, so moderation is important if you’re watching your weight. A recent study published in Neurology found that cooking with heart-healthy olive oil and using it for salad dressing may cut stroke risk. Nut butters are another source of healthy fats, and peanut butter is just the beginning—try almond or cashew butter if you’re feeling adventurous. All of these butters boost protein and fiber intake. Just be forewarned, some are high in added sugars. Choose all-natural nut butters with as few ingredients as possible. Fatty Fish The term “fatty fish” may sound unappealing, but actually, these are the healthiest and most delicious foods from the sea. Oily fish such as salmon, tuna, sardines, mackerel and trout are full of omega-3 fatty acids—good fats, unlike the bad saturated fat you find in most meats. According to the American Heart Association, people should eat at least two servings weekly of lake herring, lake trout, mackerel, salmon, sardines or tuna for the healthy omega-3 fats they contain. Try experimenting with these healthy fats in your diet and remember the key is moderation and portion control!